There are no Good Men out there! Men don’t like Strong/Smart Women! Sound familiar? These are opinions we hear all the time. Quite a limiting fear based beliefs aren't they. They are caused by one or two real and painful personal experiences, and the effect is a jaded perspective and a closed heart. It’s happened to me so I now think….. All married men cheat! Isn’t this what we really mean? It’s human to fall into this way of thinking at some point in life; the trouble is these opinions stick and stay for too long. Until someone proves us wrong. So the wait begins for the one who will prove us wrong! It can take months, years even!. 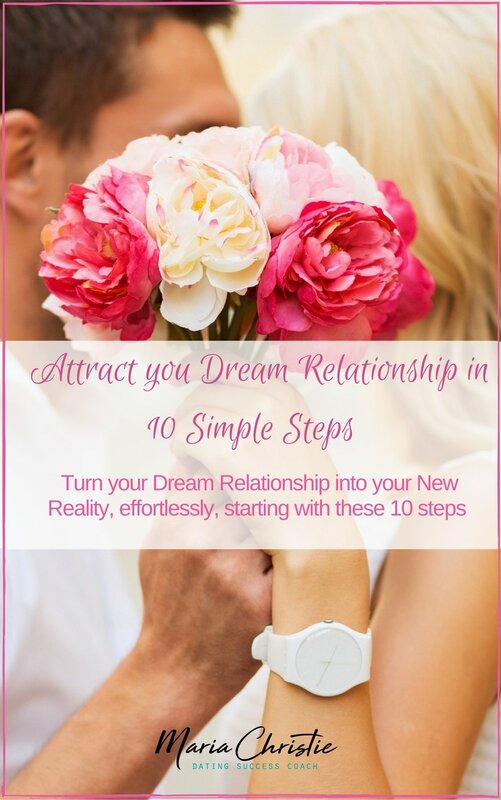 If attracting your Dream Relationship in 2018 is one of your heart goals, now is the time to make sure you are relationship ready and to make the decision to embrace a fresh positive, approach and outlook to meeting someone special…and acting on it in a smart high value. 1) Don’t allow yourself generalize about "men". You haven't met them all. They drain your enthusiasm, energy and perspective towards dating; and the chance to meet someone great. If you believe all the negative things about men or women, how will you know when you’ve met someone great! Instead: approach dating in the New Year with a clean slate, and be prepared to be surprised. Everyone is an individual. UNLEARN the old way of thinking, doing, believing and let go of the same old assumptions and limited opinions about how ALL men and ALL women are! Sure there are people out there with different intentions, relationship goals, and values to you, but it’s simple to navigate away from those, and invest your energy and time on the worthwhile ones who deserve it. Be clear about your core needs and what you are looking for such as family, children, beliefs, worldview, goals, work ethic, what you stand for, where you will live. Someone will only disrespect these if you allow them. Don’t settle on your core needs just to be with someone for now. The energy and time invested in someone not right for you, is taking time away from you meeting the right person. 3) Don’t keep doing the same thing, and expect different results. If you have decided that you are ready to meet someone, be ready, relaxed, fearless and open to it. Try different approaches to connect with like-minded people and think out of the box- you could meet someone great anywhere. I provide an offline matchmaking service as an alternative, there are hundreds out there internationally, and quality international dating sites. If you limit your routine and search, your chances are limited as well. When you are out, be friendly, chatty, happy, light and approachable. If your heads down and you look standoffish nobody will come close. If you’re out, make an effort to talk to people you don’t know- light banter, small talk. If someone doesn’t smile back, or show interest – so be it, move on, Next! Don’t take anything personally or too seriously. If you are happy, it shows and attracts people to you. Instead: Practice having a genuine two-way conversation with them, and really pay attention. When you take time to get to know someone, their intentions, actions, and character are clear. You don’t know anyone until you have talked to them personally over a period of time. Never rush and don’t feel pressured by anyone. It’s only a chat after all not marriage. 5) Don’t dismiss someone because there isn’t instant chemistry and attraction. It would be nice to experience the same buzz we did in our teens and 20s when we met someone new. But after 35 it may be a slower burn. Mature Relationship ready Singles want a partner who offers security, safety, commitment, loyalty and depth. Chemistry and attraction can grow given the chance. It’s a process of connection. You will know after a few dates. about Physical attributes: height, looks, size, and fitness levels. You may be missing a great connection with someone who doesn’t fit the physical profile. Don’t set an impossible standard for yourself and others. Be realistic and flexible. Secure Relationship ready women and men don’t have time to waste, want to enjoy dating and meet interesting new people. If you show no interest, are too self- absorbed and too guarded they will move on quickly. Approach dating as though you are meeting a great friend, be yourself, open, fun, relaxed, playful, interesting and sincere! If you are too heavy, detailed, complain, analyze, test, challenge your date or their beliefs and opinions it’s not enjoyable and doesn’t encourage someone to spend more time with you. Being able to laugh with your date is a fantastic start to hopefully more great and fun dates. So with these tips in mind, I hope you take lots of positive action to have the life and love you want in the New Year because You deserve it. Stay positive, hopeful and happy! If you'd like to talk about you, and Attracting your Dream Relationship in 2018, schedule you compliementary coaching conversation below. Sign up to receive dating news and updates directly to your inbox.